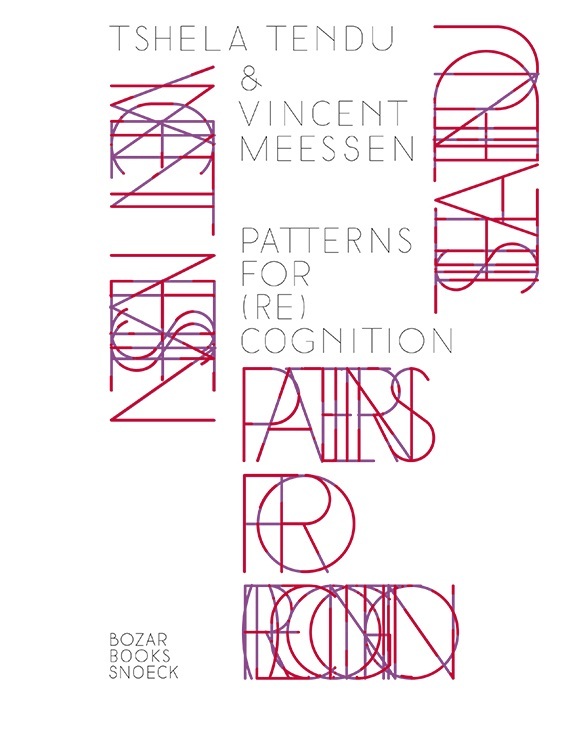 This publication documents the three editions of Patterns for (Re)cognition, an exhibition comprising various duos with Tshela Tendu conceived by Vincent Meessen: at KIOSK (Ghent, 2013), Kunsthalle Basel (2015), and BOZAR (Brussels, 2017). It also offers new perspectives on the reception of this assemblage that was intended to cast a contemporary eye on the abstract works that the Congolese artist, Tshela Tendu – better known until now by the name of Djilatendo – painted in the period between 1929 and 1932. The book brings together for the first time all of Tshela Tendu's geometric abstractions, most of which are completely unknown to the public. Their presentation is discussed in a series of dialogues that Vincent Meessen conducts with artist and curator Toma Muteba Luntumbue, publisher Guy Jungblut, curator Elena Filipovic, ethnohistorian Jan Vansina, and art historian Yasmine Van Pee. Through a polemic approach to abstraction, which is perceived, beyond its formal aspects, as both an epistemic issue and a power matrix, Vincent Meessen proposes a 'para-curatorial' operation that casts light on a blind spot in colonial modernity. The book was first presented featuring a round table discussion on 8 September 2017, with Morad Montazami discussing the themes broached in the exhibition and publication, together with Vincent Meessen, Toma Muteba Luntumbue, Yasmine Van Pee, researcher-curator Bambi Ceuppens and art historian Kathrin Langenohl.